Gabrielle is a fictional character played by Renee O’Connor in the American fantasy TV series Xena: Warrior Princess. She is referred to by fans as the Battling Bard of Potidaea. Her trademark weapons are the Amazon fighting staff and later, the sais. She was also an Amazon Princess and later an Amazon Queen. 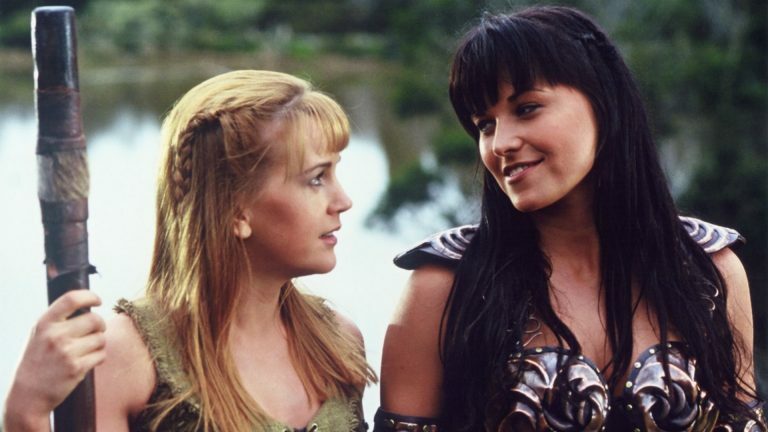 The character’s development and progression is a story that spans the entire show’s run, with her first appearance in “Sins of the Past” seeing her as a naive farm girl, and the final episode, “A Friend In Need” seeing her as a fully formed but rational warrior, set to follow in the deceased Xena’s footsteps.